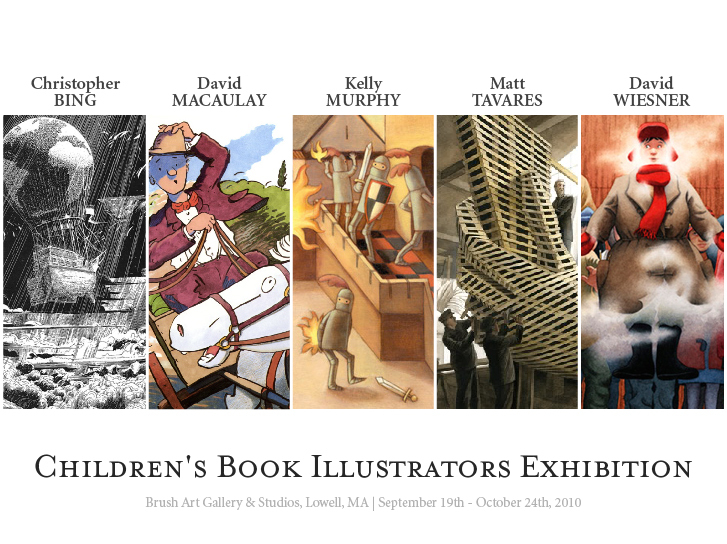 The Brush Art Gallery & Studios in Lowell, Massachusetts will be exhibiting original artwork by renowned American children’s book author-illustrators from September 19th to October 24th, 2010. 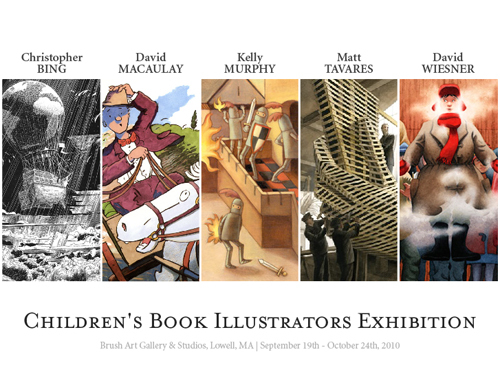 The featured award-winning illustrators are Christopher Bing, David Macaulay, Kelly Murphy, Matt Tavares and David Wiesner. Book signings and talks with the artists will be held on October 1st (Macaulay) and 2nd (Bing, Murphy and Tavares). Please visit the gallery’s event page for more information regarding the exhibition. This entry was posted on Tuesday, September 21st, 2010 and is filed under Exhibitions, Shows. You can follow any responses to this entry through the RSS 2.0 feed. Responses are currently closed, but you can trackback from your own site.